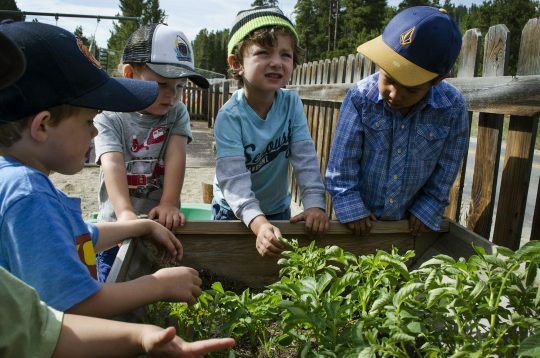 Protecting, maintaining, and enhancing the community’s character and culture, the Town of Breckenridge uses SurveyMonkey Apply to collect applications for their Child Care Tuition Assistance Program, helping local families cover basic costs and thrive in the community. The Town of Breckenridge was challenged with managing a heavy workload of paper applications and needed a solution to reduce manual data entry and streamline communication to applicants. An online solution for application and review eliminates paper applications, reduces manual workload, and provides clear channels of communication between administrators and applicants. By moving their process online and streamlining communication, the Town of Breckenridge can connect with more local families to offer assistance that will provide stability and peace of mind. SurveyMonkey Apply really streamlined the application process for us and for families. We save up to two weeks of time because each application that comes in is complete, and it’s made the whole process a lot cleaner and more straightforward. At the base of the Rocky Mountains’ Tenmile Range sits the small town of Breckenridge, Colorado. Since the pivotal discovery of gold in 1859, Breckenridge has blossomed into a world-class resort destination for visitors around the globe. 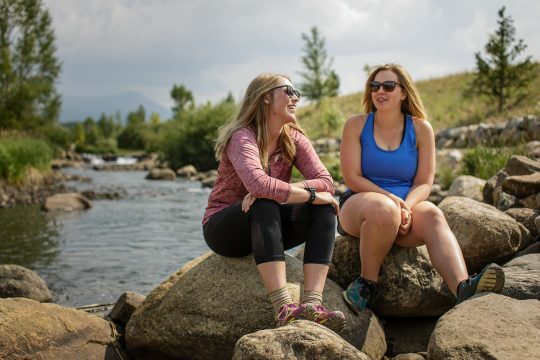 On a regular day, Breckenridge is home to a small population of just over 4,900 residents, however as one of the top destinations for both summer and winter getaways, the Town can quickly adapt to an influx of over 40,000 people in just one weekend. 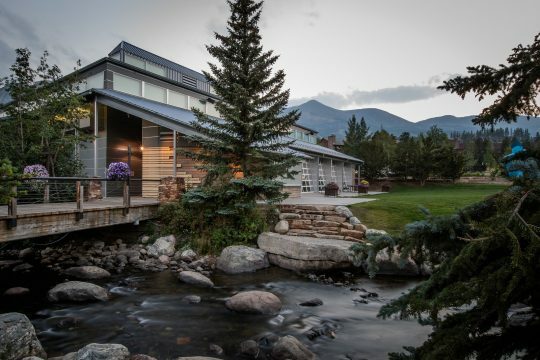 With more visitors than locals, the small but mighty number of residents in Breckenridge work to create a culture and character that millions of people choose over other popular destinations, such as Aspen or Vail. The Town’s commitment to protecting, maintaining, and enhancing local heritage starts with supporting vital members of the Breckenridge community; the very core of what makes the Town a safe haven for families across the world. 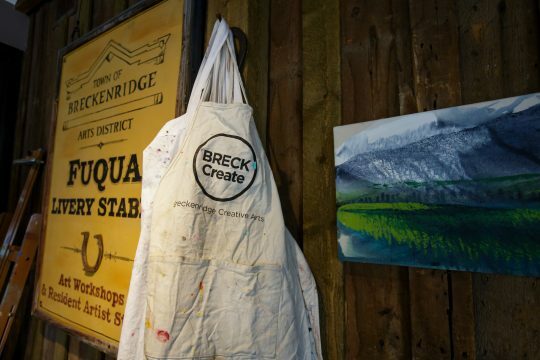 At the heart of a town which millions of families have come to love is the local community of residents who live and work in Breckenridge each and every day. A commitment to world-class culture and character starts with these local residents and their vital impact on the workforce and spirit of the community. The Community Development Department at the Town of Breckenridge plays an important role in supporting families that come to live and work in the community, providing needs-based child care programing and assistance. Jennifer McAtamney, Program Administrator for the Town Child Care Tuition Assistance Program, works with local families each day to understand the needs of families with young children. “We truly believe that if we want to stay a real community, it’s important for us to make sure local working families can stay in the community. We do that through a combination of housing support and child care,” says Jennifer. The Tuition Assistance Program is a needs-based program implemented to help subsidize the cost of child care, ensuring that local families who apply do not have to contribute more than 13%-16% of their annual income towards the cost of care alone. “This program really enables families to have the economic stability to be able to stay in the community. We have a very high cost of housing, and some of the highest healthcare costs in the nation. 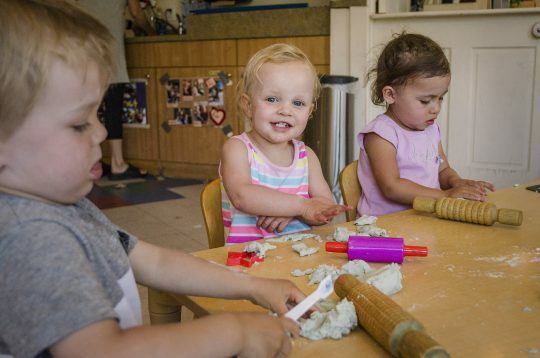 For one infant, child care can be about $20,000 annually, and in a resort community where the wage structure is fairly low and jobs are typically hourly or seasonal, that can be challenging,” says Jennifer. On an annual basis, the Community Development Department collects over 100 applications for child care assistance. Taking a needs-based approach, the Town requires applicants to provide several documents for income verification and other sensitive information that is used to asses need and confirm eligibility. Having used a lengthy paper application process for several years, Jennifer knew there had to be a better method for collecting applications quickly and securely. “There were a number of pain points for us. The first one was a paper-based application that was about 5 pages long and required a tremendous number of supporting documents to validate a family’s income,” Jennifer says. Over 5000 pages of paper would be collected in that initial round of the application alone, every year. While connecting with another local foundation in Summit County, Jennifer was introduced to SurveyMonkey Apply and quickly realized how it could help. “After seeing the product and learning how we’d be able to review applications, it was obvious that it could be a really good solution for our Tuition Assistance Program,” Jennifer says. Since switching from a paper-based process to SurveyMonkey Apply, Breckenridge families have been able to easily access the Child Care Tuition Assistance Program application online, and Jennifer’s team in the Community Development Department has been able to assist applicants more quickly and efficiently. “For the applicants, it’s great that they can take photos of documents, upload them, and do that all in the privacy of their own home. Before SurveyMonkey Apply, applicants would have to drop off their paper application at the Rec Center in a sealed envelope, but the information they were sharing with us was really personal and confidential information,“ Jennifer reflects. A sudden increase in applications, coupled with feedback from both applicants and reviewers alike, showed the Town that not only was their program vital to the stability of their community, but that easy and convenient online access to affordable child care assistance mattered to local families. “People love our new system. It creates a really good workflow for applicants and it allows us to easily review the applications electronically,” Jennifer says. In addition to simplifying access to child care resources, Jennifer has been able to use SurveyMonkey Apply to understand the types of families that choose to stay in Breckenridge. “Because SurveyMonkey Apply has helped us collect and manage all of our data in one place, we’ve uncovered a lot of great insights. For example, we found that on average, our families have been here about 10 years before they’ve had children,” Jennifer says. I cannot emphasize enough how important it has been for our program to be able to really identify those unique data elements and be able to track them over time. By collecting a wealth of data online through the application process, Jennifer is able to better analyse the needs of the families that make Breckenridge so special, and ensure they are not forced to leave the community. “We do some pretty intensive outreach to the families who are using our care, and we found that over half of the families would have to leave the community if they could not afford or access child care,” Jennifer explains. Providing financial assistance to families with young children helps to ensure the stability of Breckenridge’s long-term residents. With an online solution in place to collect applications and data from the community, the Town can work towards their mission of increasing resident retention and focus on connecting with the families that make the resort town the paradise that many consider it to be. “SurveyMonkey Apply has definitely helped from a time and efficiency standpoint but for me, far and away the biggest improvement has been our ability to pull data out of the system and share it with the community,” says Jennifer. Ready to streamline your process?